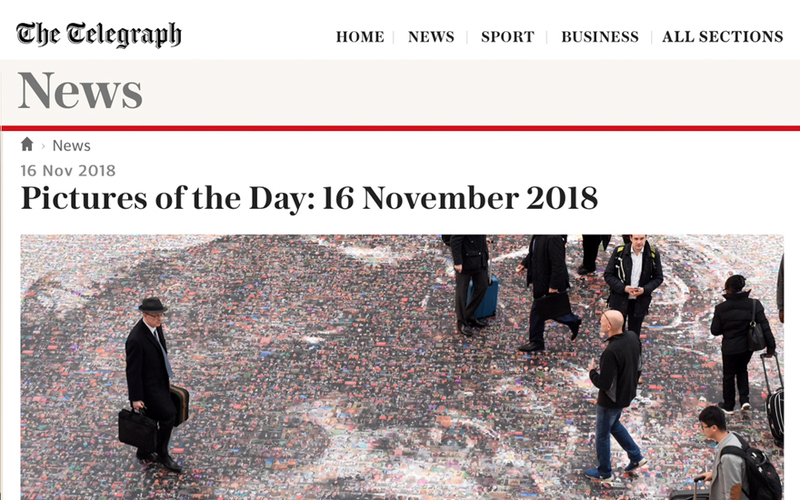 Photos of thousands of girls and women are to form a giant mosaic of a suffragette to mark 100 years since the first British women won the vote. Artist Helen Marshall called for selfies and photos of women in people’s lives “you wish to celebrate” for the Face of Suffrage project. “It’s not just about brave and daring stories,” she said. “It’s really about taking part and being visible.” The art will be displayed at Birmingham New Street Station from 15 November. 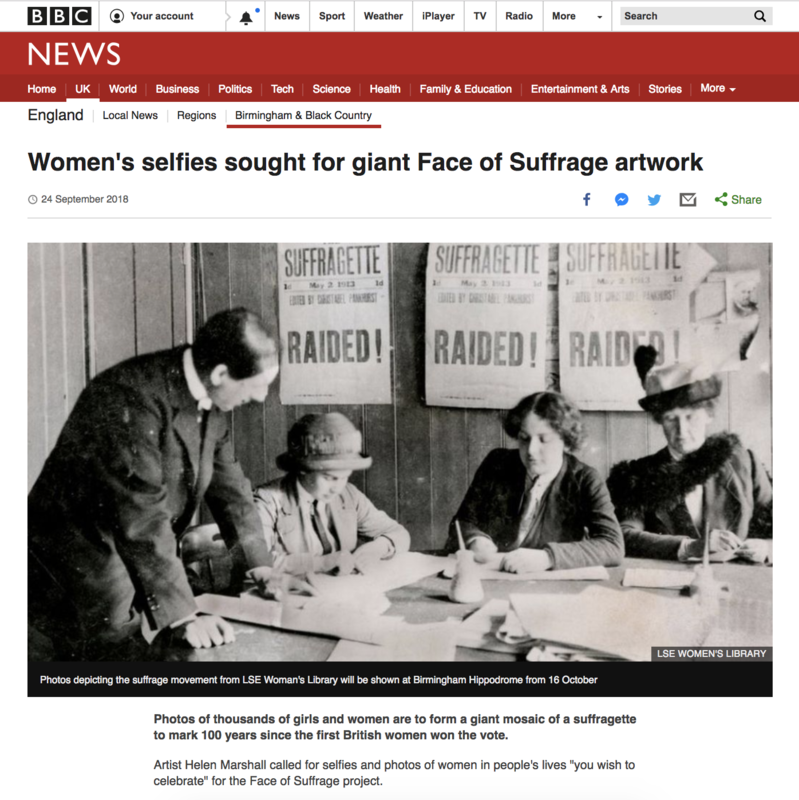 More than 3,000 photos are expected to be used in the 20m (66ft) tall work revealing the identity of an “inspiring” suffragette from the West Midlands. 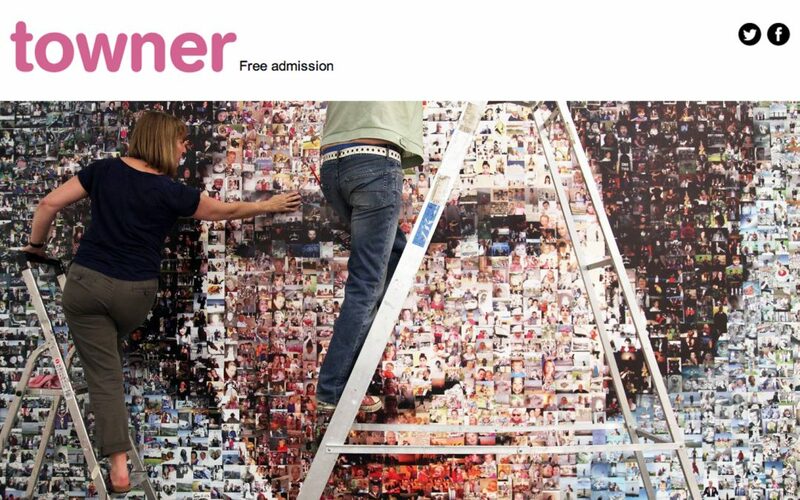 A large portrait made up of hundreds of small photos has been put up to celebrate a city’s people. 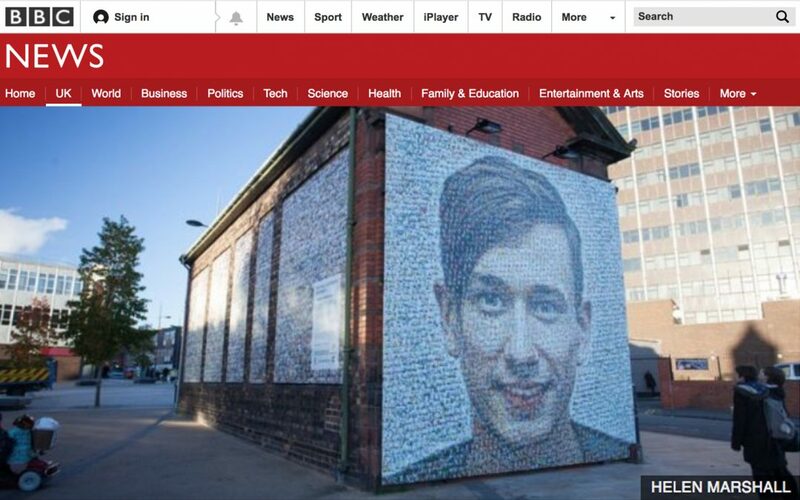 The 4m (13ft) tall image of Jozef Clark, 23, was unveiled earlier for the Face of Stoke-on-Trent project. 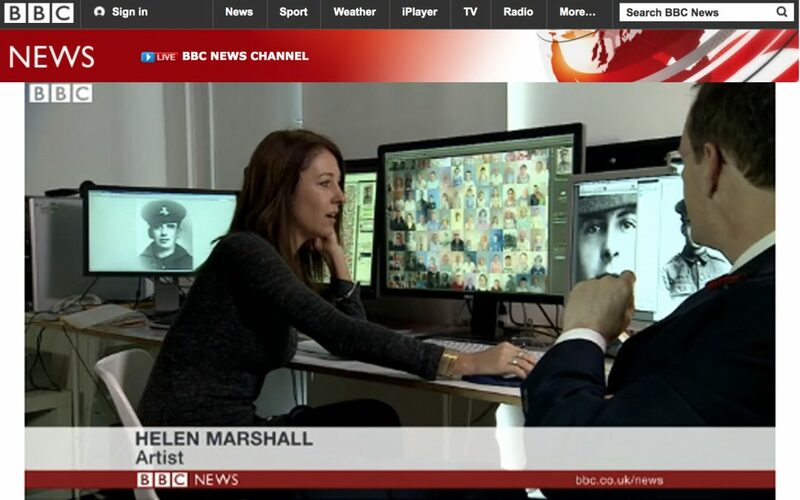 Artist Helen Marshall said Mr Clark’s image was chosen from 3,550 submitted because it provoked conversation with people “wanting to know his story”. The creation of the art work is part of the city’s bid to become UK City of Culture 2021. A portrait of The Queen has been commissioned by BBC South East Today which will be entirely made up of photographs of the people of the region. 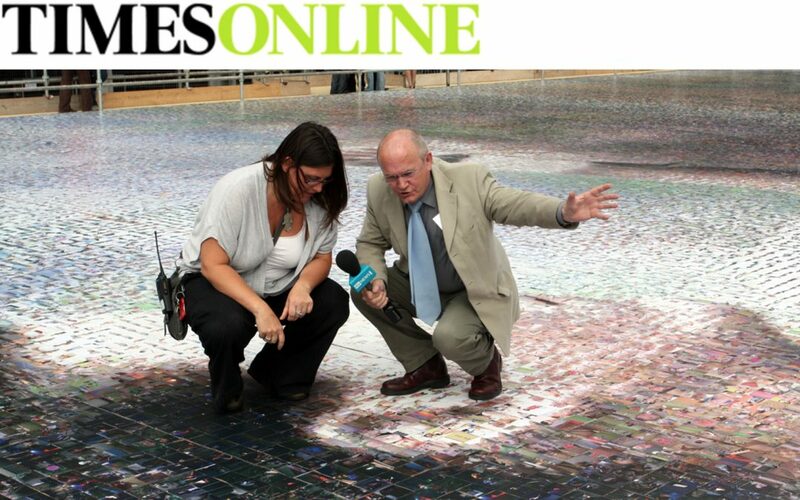 Around 10,000 images will be needed for a huge photo-mosaic of the Queen. The photos can be portraits, family photos, shots of people in front of their favourite South East landmark, people in their garden or on a fairground ride – anything at all as long as it shows local faces. The pictures can be black and white or colour, recent or old. They will be included in a work of art, made in collaboration with the artist Helen Marshall, entitled The People’s Monarch. An art installation marking 100 years since women were given the vote has been unveiled at Birmingham New Street station. 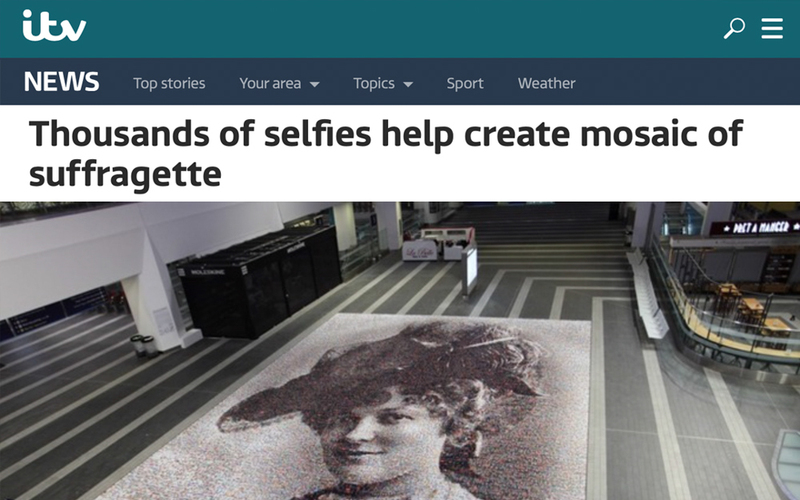 The floor-based artwork called “The Face of Suffrage” is made of a mosaic of more than 3,700 images of women from across the West Midlands and the UK. 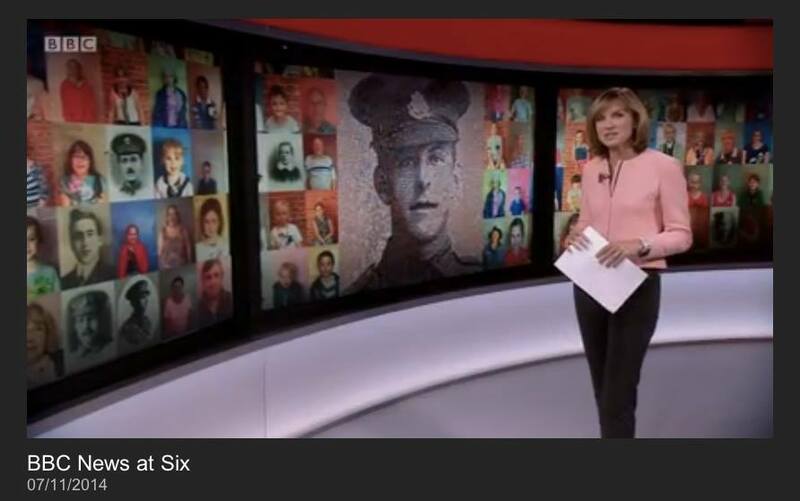 It was created by artist Helen Marshall, of the People’s Picture, who has installed similar projects across Britain marking other historic occasions. 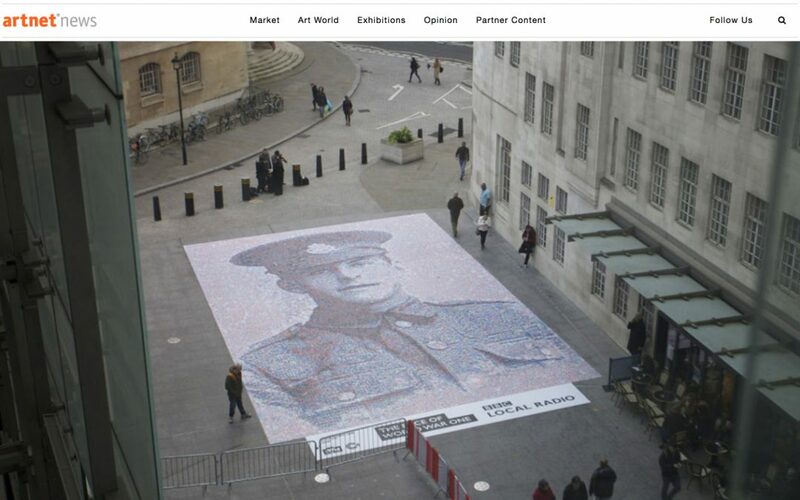 Helen Marshall, an artist whose giant mosaic of the Queen was seen by thousands of people during a tour which took in Gatwick Airport, was commissioned to reflect the image of Private James Beaney with the help of 20,000 audience faces captured during a series of BBC events. 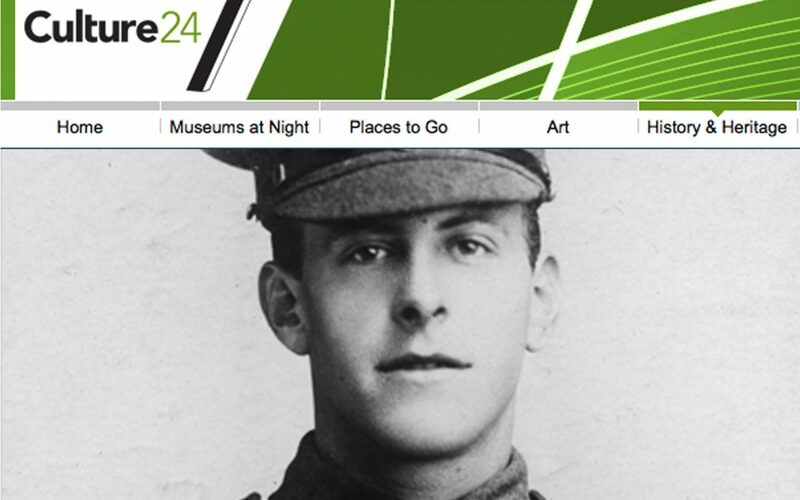 Beaney worked as a plumber’s mate before joining the East Surrey Regiment August 1914. Arriving in France on May 31, 1915, he was serving with D Company, 6 Battalion near Martinsart Wood, France when he was killed on August 8, 1916. 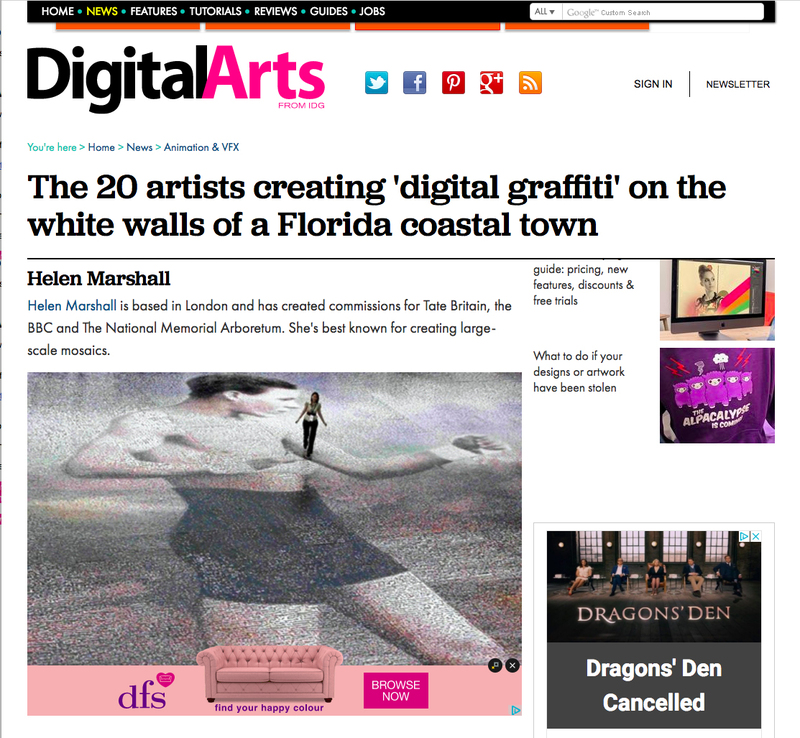 The 20 artists creating ‘digital graffiti’ on the white walls of a Florida coastal town. 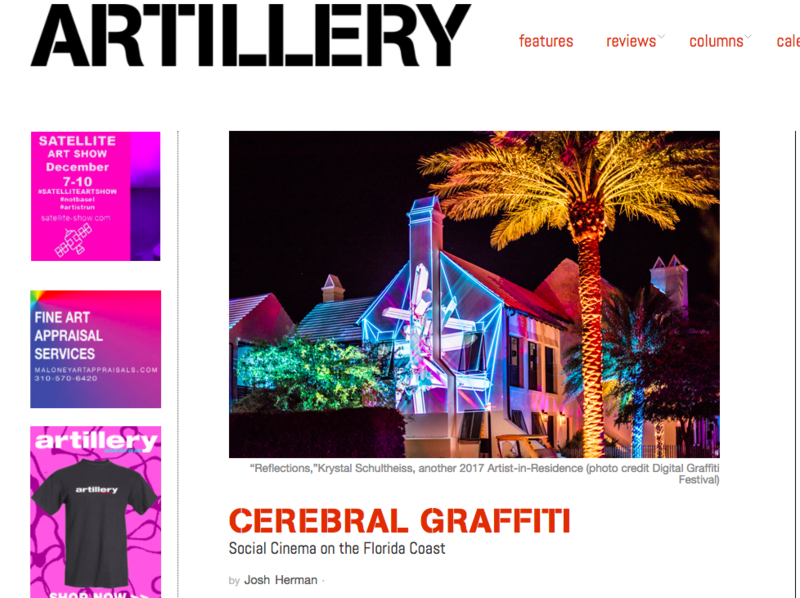 Last year, we visited the Digital Graffiti festival in Florida – where the gleamingly white coastal town of Alys Beach gives itself over to colour after dark. In May, the festival returns again for its tenth year, and the 20 artists taking part have just been announced. A giant 65ft mosaic portrait of militant Suffragette Hilda Burkitt has been unveiled in the atrium of Grand Central at Birmingham New Street Station. 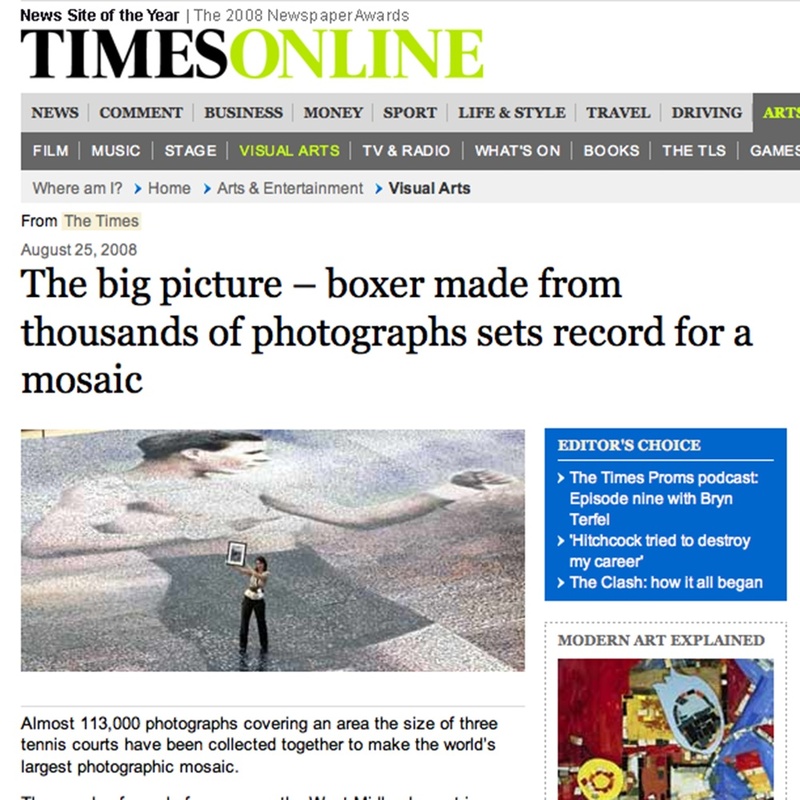 The mosaic is made up of 3,724 photos submitted by members of the public to create the artwork. 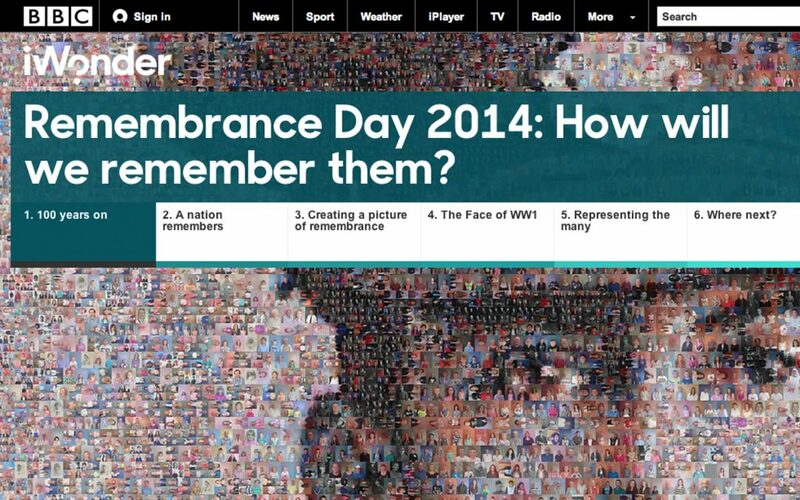 How do you put a face to a war that occurred a century ago?